Sparkling/Delicate White: I’ve had two sparkling wines on standby but I’m shifting gears and going instead with the gently effervescent Vale Do Homem Arinto Vinho Verde ($8). Light on both the palate and in alcohol, it’s an easy, delightful wine for an appetizer or the non-wine drinkers who want a taste of something they will enjoy but rarely drink a full glass. I’ll know we’ll have three people who fit this category at the table this year. Full-bodied White: This year, I’m dropping down from full-bodied white Bordeaux to a gentler Sancerre. 2014 Les Fossiles Domain Phillipe Raimbault Sancerre ($18) is refreshingly crisp of bright citrus and has smashing acidity. It’s a white wine drinker’s dream in weather like this, gentle on the palate by itself but enough strength to cut through the savory and heavier dishes that dote the thanksgiving table. I expect it to be a crowd pleaser. Rosé: Lelievre Gris De Toul Rosé 2014 ($17). My readers know I love to serve a high end rosé, and this one is a great value. Superbly clean, crisp, and wonderful at cleansing the palate with nice acidity, delicate fruit and a nice mineral finish, from the Lorraine Valley. Medium-Bodied Red: 2013 Lieu Dit Cabernet Franc, Santa Ynez Valley ($29). This wine knocked me out at a blind tasting recently and I thought, “what a killer Thanksgiving wine”. I’m putting my money where my mouth is and going for it, realizing that this knocks out my traditional pinot noir or cru beaujolais, but I’m excited to see how it stands up! I adored this wine at the tasting (and went back for more) and am excited to see how it fares with this meal of meals. Full-Bodied Red: 2006 Château Larteau Grand Vin de Bordeaux ($18) . A mature, full-flavored red bordeaux blend that demonstrates excellent color, nose, and favor. Cassis, eucalyptus, and a touch of road tar give this wine the full body that red wine drinkers adore, and I know this as a consistent fan favorite in the under $20 range that compares well to wines at twice the price. My brother-in-law will love this wine and I expect we’ll be watching football and finishing the bottle together after the dishes are done. What wine is going on your Thanksgiving table this year? No Thanksgiving here down under unfortunately, a shame as I love those collard greens, cranberry sauce, buttermilk biscuits etc. Those wines sound perfect for cold weather celebrating. A nice mix of new and old world too. Down here we’re heating up for another Aussie Xmas on the beach, chilled Riesling and prawns. 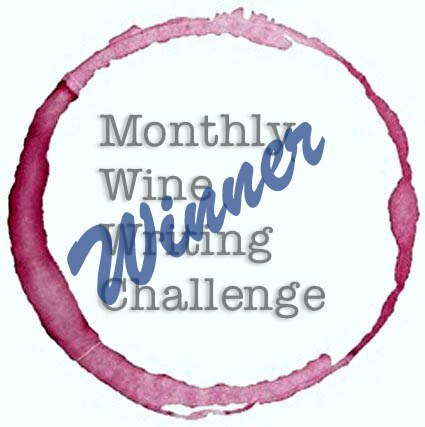 Feel free to link up this or any other posts on my monthly wine blog post sharing party – #WINENOT. Live first Wednesday every month and open for a week. We have already had our Thanksgiving and I frankly can’t remember what we had. Probably Prince Edward County Pinot (I’m in a rut). But, just because the celebration is a ‘south the border’ thing, doesn’t mean that we don’t celebrate up here too. A few friends and I attend a local pub for the football games, wings, and turkey bowling. It’s a hoot and demands beer. However, I usually sadly stagger home after the Lions get trounced and very unwisely open a nice bottle of wine in celebration/partnership with my friends in the US. Let’s hope that this year it will be memorable. Suggestions? I love your choices. Especially the Vinho Verde. Nobody seems to appreciate the lightness and versatility of that bubbly. I’ve grown to appreciate the low ABV of German Rieslings too. love Mosel’s rieslings! Found a sparkling riesling that was really fun, and just had shipment arrive with a sparkling vouvray I’m salivating to taste. You know it was Jeff (The Drunken Cyclist) whose posts and love of champagne reminded me how versatile and valuable a good bubbly is. Suggestions for you & your friends… hmm, no mention of price range, but I’ll assume splurge “within reason”, ok? Let’s see: 1996 Calon Segur, 2005 Pichon Longueville Reserve de la Comtesse , ’90, 2000, ’03 and ’05 vintages of Leoville Barton, 2000 Lynch-Bages, 2000 & ’03 Forts de Latour. Any of these sound fun, or do you want to move away from Bordeaux? I always have a small wager so if the Lions wine, I can go big with a clear conscience! I will scour my limited Bordeaux boxes for a good one. I know that i have a couple 2000 Chateau Priuere-Lichene. Love that one. It is unseasonably warm for Thanksgiving here on the East Coast! With November, you just never know. Last year it was snow storms. This year it’s t-shirts. Love the wine choices…sound delicious. Thanks Kat! Still working on putting together a MWWC tasting event in NYC, hope you’ll be able to join us! That would be awesome! Keep me in the loop!